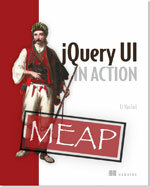 In this release, we’ve added support for jQuery 1.4.4. The buttonset widget now supports an items option to define which elements to convert to buttons. The datepicker widget now has support for the Rhaeto-Romanic localization. For the second release in a row, the progressbar widget has received an update! You can now specify a max value via the new max option. See the 1.8.7 Upgrade Guide for a list of changes that may affect you when upgrading from 1.8.6. For full details on what’s included in this release see the 1.8.7 Changelog. Thanks to all who helped with this release, specifically: 1730wang, AccessDenied, Alex Dovenmuehle, amodlin, andrew_, anonymous, awgy, azran1981, c_schmitz, dalexandre, dblood, DoctorArnar, doerwalter, dsargent, fetchak, fracmak, gethinw, ghusta, goldy, guoicq, Heiko Henning, imefisto, InAme, inukshuk, israelrios, J. Ryan Stinnett, [email protected], jamiejag, jao, Jay Merrifield, jazzido, Jean-Francois Remy, Jeff Roush, jeffsmith, jessicah, joern.zaefferer, jryans, juergen.furrer, jzaefferer, k.robinson, kbwood, kevin.wells.iq4bis, Khaled AlHourani, Kyle Wilkinson, kzamir, mal, Marian Rudzynski, mayoulti, mbarkhau, michael.heuberger, mlooise, nmb.ten, perlpunk, pheiberg, Phillip Barnes, poplix, rambat, rdworth, rlandrum, Ronin, rosieks, Rwhitbeck, Sachemo7, saks, saksmlz, Scott González, seb835, sixhead, skeetergraphics, Stéphane Raimbault, sz_zoly7, tedclarkjr, TheBlaze, tombigel, vosechu, Wallbanger, WanderingZombie. If you have feedback on us doing our seventh maintenance release for jQuery UI 1.8, feel free to leave a comment below. Thank you. Are there any plans to stop using both google code and github? The wiki contains lots of broken links pointing to google code (eg labs). It seems all over the place and it confuses me, why don’t you move everything over to github? Can you clarify why you’re still using google code? Can you please help get the individual files hosted by the CDN (like jquery.ui.core.js, jquery.ui.widget.js, jquery.ui.core.min.js, etc). I am sure you have more say than we do…if not, get the word out so people will vote (star) it up.. 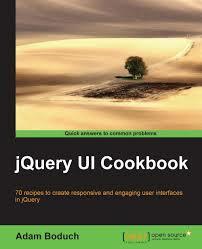 I designed my website (design 2011) with jQuery UI 1.8.7, completely. I would love to see the datepicker support entering in time as well.